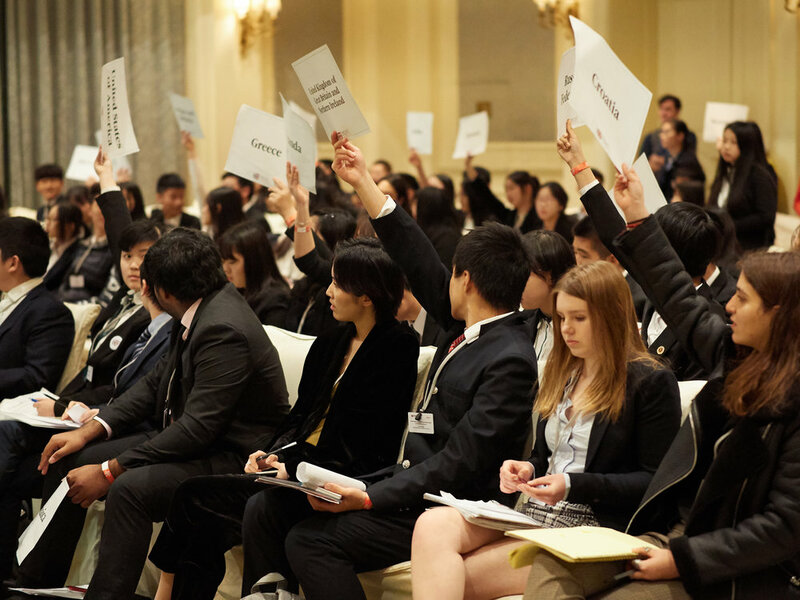 Harvard Model United Nations China is a four-day international relations simulation for high school students held annually in downtown Beijing. At HMUN China, delegates gain insight into the workings of the United Nations and the dynamics of international relations by assuming the roles of UN representatives and members of other international bodies and national cabinets. HMUN China is an exciting opportunity for students to debate issues that confront world leaders and to draft resolutions in response to these global issues. Participants will develop their abilities to work with others who are equally motivated and passionate about the topics of debate and to respond to global concerns. HMUN China 2019 builds upon decades of experience. In 1927, Harvard held its first annual Model League of Nations, followed by the first Model United Nations conference in1953. In 2010, this HMUN model was brought to the international stage for the first session of HMUN China, when HMUN brought 13 directors to Beijing. True to the spirit of the United Nations, founded in 1945, HMUN China strives to foster a constructive forum for open dialogue on complex global issues, including international peace and security, and economic and social progress. HMUN China stresses the in-depth examination and resolution of pressing issues, emphasizing process over product. During the conference, students learn the importance of balancing national interests with the needs of the international community, while also learning about the powers and limitations of international negotiation. Delegates will preserve their countries' national policy while negotiating in the face of other, sometimes conflicting, international policies.